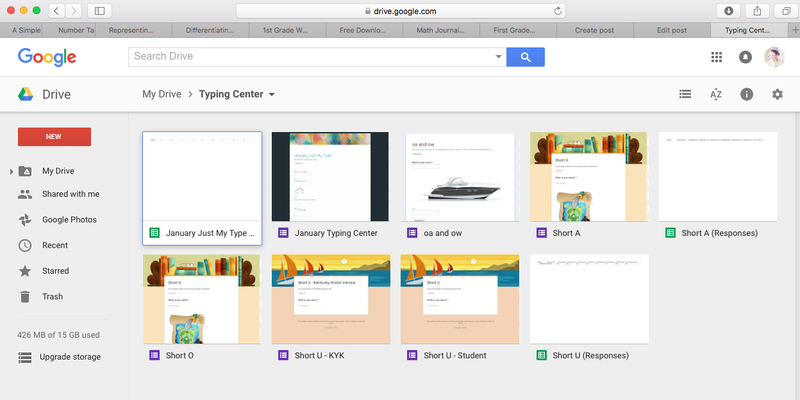 Last week, I showed you how to create a free, customizable typing center using Google Forms. If you didn’t see that post, check it out here then meet me back on this page :). 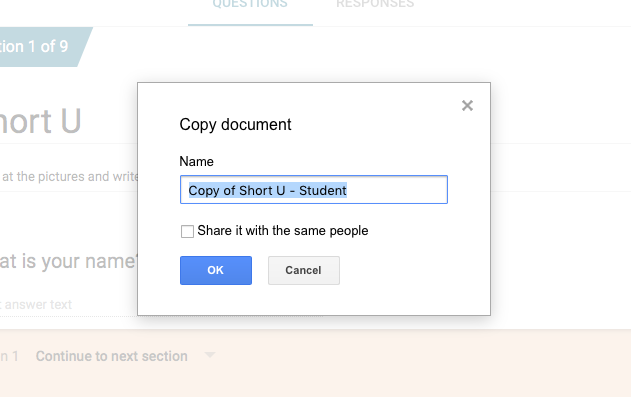 At the end of that post, I promised you an update to show you how to duplicate the form for future use and make it easily accessible for student use. By this point, you should have already selected a Phonics Skill to create your Google Form. 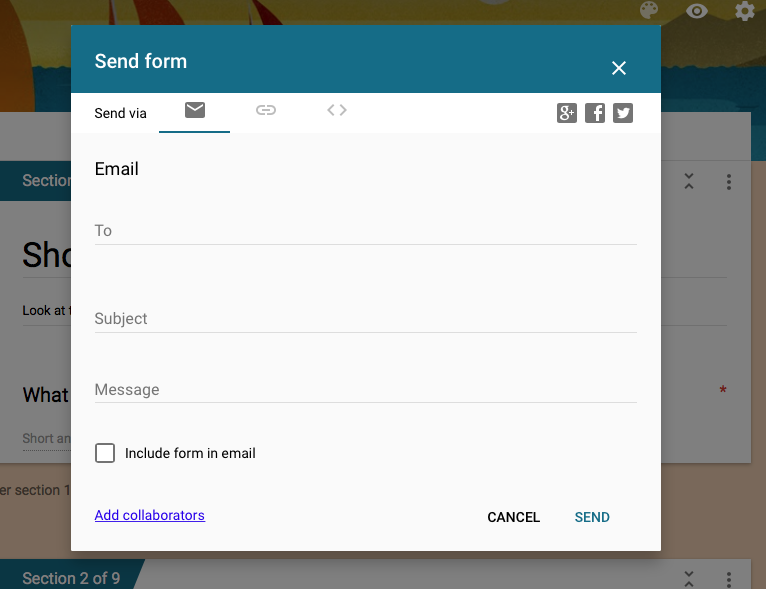 To see my example of how I am using Google Forms, click here. Look at your Google Drive documents. You might have set them up in folders or you might just have this one document showing up. Regardless, you want to look at your drive and find the document we just made. At this point, you should have a document with its name and another with the same name but “Responses” tied to the end. 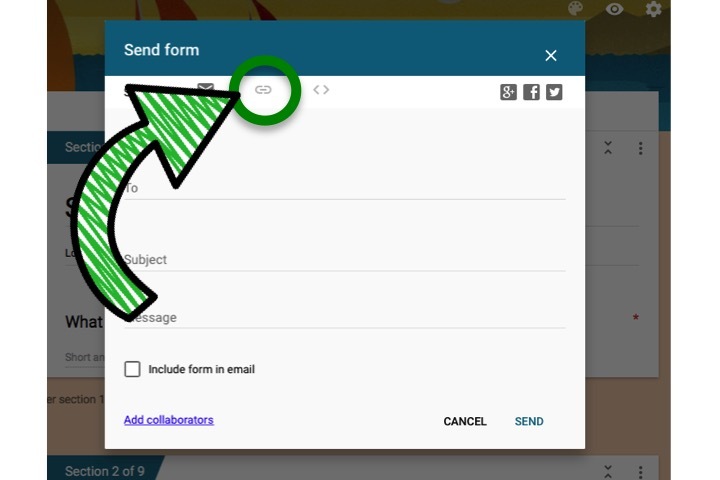 Click on the button at the top that says, “SEND.” You’ll have a few different options here. This window defaults to the Email selection. Click the Link icon. 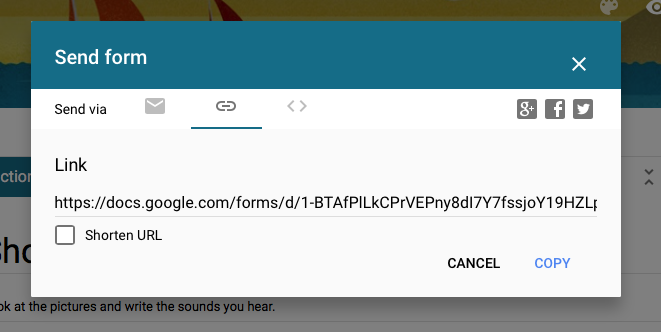 Copy the URL and paste it into a new window. When you open the link, it will still look like the editable version. This is just because it knows you are still logged in – don’t worry! Look at the top of the page and click on the URL bar. 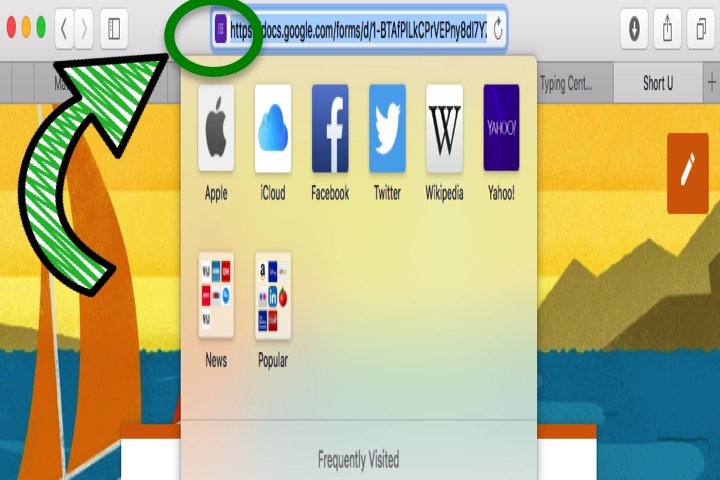 You should see a little purple logo that looks like the Google Forms Image. Click and drag that logo onto your desktop. PRESTO! 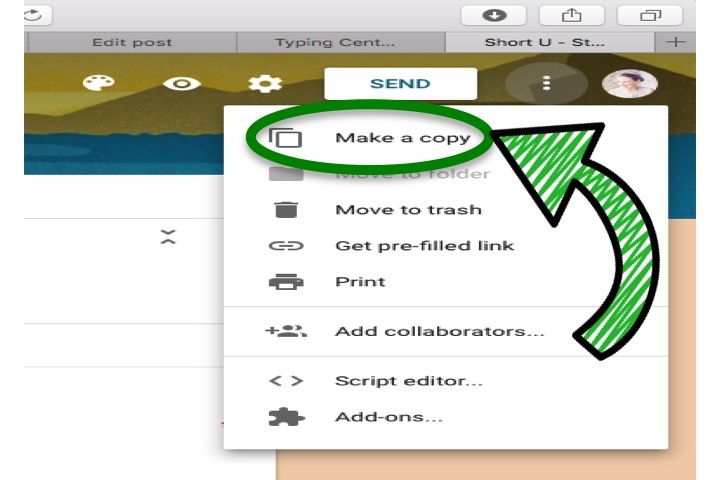 You now have a clickable link for your students to use. Easy as that. Granted, you’ll need to do this for each of your student desktops, but it takes 5 minutes on a Friday afternoon and you are SET for all of next week. Now, what do I do when I am ready to make another assessment for a new phonics skill? You see that little column of three dots in the upper righthand corner of your document? We can go ahead and re-name this document to whichever phonics skill you’d like to assess next. 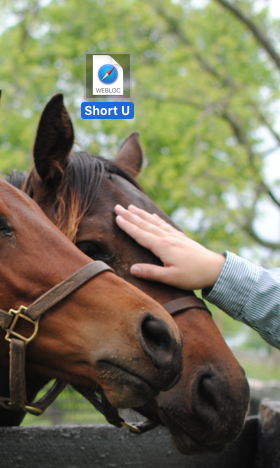 Maybe it’s Short I, Short O, etc. etc. Go ahead and select a name. 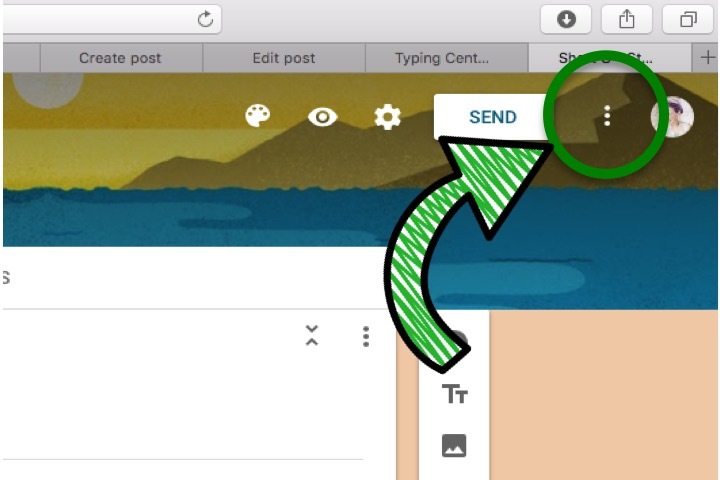 When you’ve done so, click “OK.” It’s going to go ahead and open another window with a document looking the EXACT same, only using a different name (which you’ll find in the top left corner). At this point, all you need to do is go through and input new questions, titles, and pictures. You can do this all day for every new skill you’d like to assess. If you need a refresher, go back to my original post on how to create this center, create the response sheet, and create an answer key for use when analyzing your data. I can’t wait to begin using this with my first graders next year! 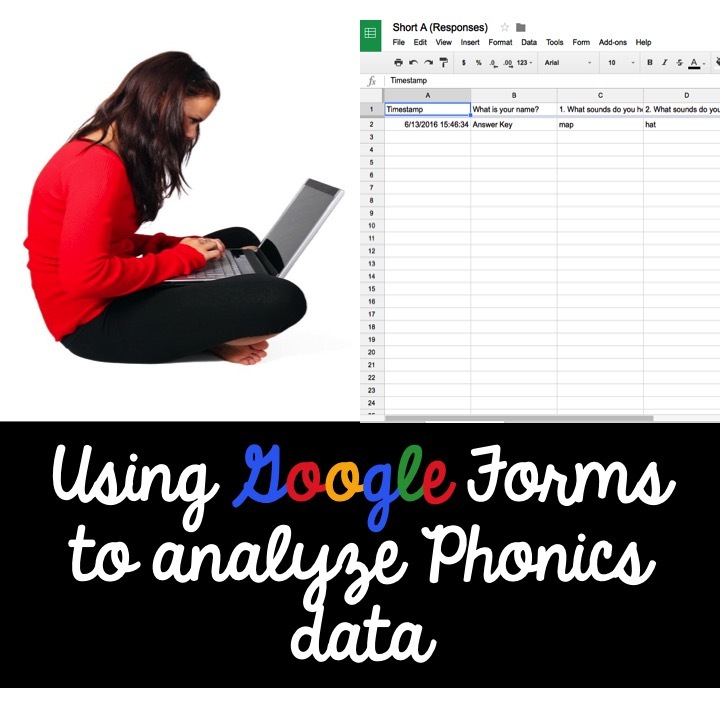 How are you using technology to assess your students’ phonics skills? 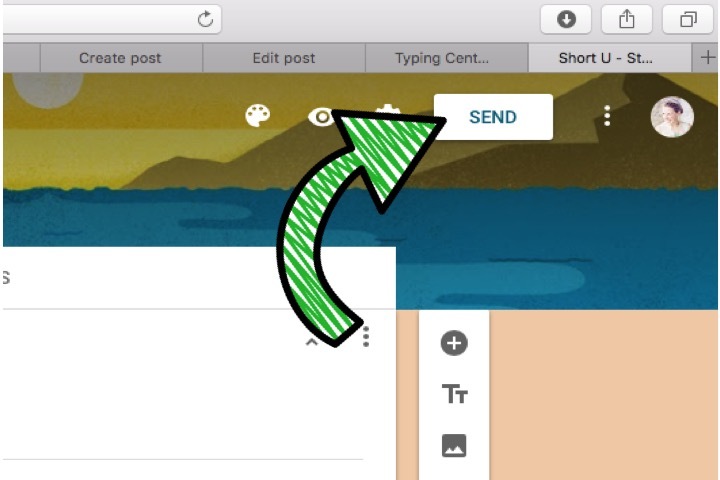 How to Assess your Students’ Phonics Skills with a FREE Typing Center! Boost Class Morale fo’ FREE!